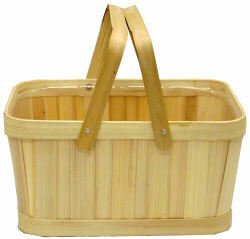 This rectangular bamboo shop basket is a nice piece for home or office décor, or use it for storage or organizing items. 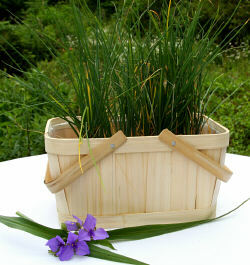 Can be used as a centerpiece at parties and events. This retangular basket would be nice to package gifts in, or use it instead of plastic bags for carrying your purchased items out of a store. Please note: All Measurements are Outside Measurements.